Gainesville, Florida master runner Joel Rich picked up a win in Live Oak, Florida at the inaugural Firecracker 5K road race on Saturday morning, 29 June 2103, part of Melody Church's Freedom Fest. Rich ran the 3.1-mile race in 17:49, finishing nearly 400 meters ahead of runner-up Joshua Curry. Curry, a rising sophomore at Tift County High School in Georgia, ran 19:23. Chris Fry was the first hometown finisher; the Live Oak master runner clocked in at 21:19. April Akins of Trenton, Florida was the first female finisher, placing eighth overall in 23:46. The women's runner-up and top woman master in the race was Marsha Walsh. Walsh finished 16th overall in 26:13. 50 athletes finished the first year event. Rain and thunderstorms swept across Florida's Big Bend region on Saturday morning, 29 June 2013, but a little bit of water couldn't keep more than a hundred athletes from showing up at Wakulla Springs State Park for the inaugural Freedom 5K. Racing on soggy dirt roads under a light rain, Stanley Linton picked up his 15th win of the year, running 17:33. Gary Droze was the fastest master in the Freedom 5K, finishing third overall in 18:33. The first female finisher was Wakulla High rising senior Madison Harris, 11th overall in 21:12, and the top female master was Tallahassee's Jacque Myers, 26th overall in 26:44. As 8:00 AM approached that morning and a light shower fell, the runners made their way to the starting line in Wakulla Springs. After a few final instructions the race was on. Stanley Linton, a NROTC midshipman at Florida State University, bolted to the front. Maclay School track coach Gary Droze led the pursuit initially, but by the time the runners crossed Wakulla Springs Road and left the pavement, Florida High track coach Brian Griffith had taken over second, while Jasen Fulghum moved up to challenge Droze. On the trek through the woods to Cherokee Sink and back, Linton lengthened his lead over Griffith. Coach Droze never lost sight of Coach Griffith, but ultimately failed to close the gap, even while dropping Griffith. Returning to the pavement in the park, Linton finished the race in 17:33 as the first-ever Freedom 5K champion, over 200 meters ahead of Griffith. Griffith clocked in as runner-up at 18:19, while master runner Droze was third in 18:33. Jasen Fulghum took fourth in 19:07. Madison Harris ended her race with a strong finish, moving up to 11th place in the final yards and recording a 21:12 for the 3.1-mile run. Harris crossed the line more than half a kilometer ahead of the women's runner-up, Urska Dobersek of Tallahassee. Dobersek's time was 23:48, good for 17th overall. Wakulla High alumna and Florida State frosh Cora Atkinson took the third women's spot, placing 20th overall in 24:15. Tallahassee master runner Jacque Myers was the fourth woman finisher, 26th overall in 26:44. 107 runners finished the first-year race, hosted as a fundraiser for Wakulla High School cross country team by the team's booster club. Gulf Winds Track Club / Tallahassee Parks and Recreation Summer Track Series Meet #4 (40m, 100m, 200m, 800m, two mile). 6:45 PM ET. Maclay School track, 3737 North Meridian Road, Tallahassee, Florida. Tom Perkins, 850-894-2019. Wakulla County Cross Country Boosters Freedom 5K and one-mile fun run. 8:00 AM ET. Wakulla Springs State Park, 550 Wakulla Park Drive, Wakulla Springs, Florida 32327. Event page on Facebook. Entry form and flyer. Online registration at RaceIt.com. Michael Atkinson, nexnbax1@comcast.net or 850‐656‐2200. 35th annual Hot Trot 5K. 7:30 am CT. Washington-Holmes Technical Center, 757 Hoyt Street, Chipley, Florida 32428. 2012 story. 2011 story. Course map. Entry form and flyer. Stan Owens 850-547-2244. Port St. Joe Centennial 5K. 8:00 AM ET. Reid Avenue at City Commons, Port St. Joe, Florida. Online registration at active.com. Haul of Heroes 5K and one-mile fun run. 7:00 AM CT one mile / 7:30 AM CT. Bay County Courthouse, 300 E. 4th Street, Panama City, Florida. Event web site. Event page on Facebook. Entry form and flyer. Online registration at Eventbrite.com. haulofheroes@gmail.com or 850-319-6077. Freedom Fest Firecracker 5K. 8:00 AM ET. Melody Church, 10046 US 129 South, Live Oak, Florida 32060. Event web page. Entry form and flyer. Online registration at active.com. Valdosta All-Comers Track Meet #4. 6:30 PM ET 1600 meter / 6:50 PM 200m / 6:53 PM 800m / 7:02 PM 50m (youth 10 and under) / 7:05 PM 100m / 7:10 PM 400m / 7:20 PM 3200m / 8:00 PM 4x400m relay. Valwood School, 4380 Old US Hwy 41 North, Hahira, Georgia 31632. A Course/Line, LLC, 229-630-1455. Darton State College Trail Series 1.625-Mile Race #6. 7:00 PM ET. Darton College Tennis Pavilion, Albany, Georgia. Entry form and flyer. Bruce Skiles, bruce.skiles@darton.edu or 229-317-6558. 5th annual Valdosta Independence Day 5K. 7:15 AM ET. 3200 North Ashley Street, Valdosta, Georgia 31602. 2012 story. 2011 story. 2010 story. Entry form and flyer. Online registration at RunSignUp.com. A Course/Line, acourseline@earthlink.net or 229-630-1455. 2nd annual Iota Tau Alpha Run For The Tape 8K, 5K, and one-mile fun run. 8:15 AM. J. R. Alford Greenway, 2500 South Pedrick Road, Tallahassee, Florida. Entry form and flyer. Roger Schmidt, rjs09c@my.fsu.edu or 727-644-5526. Valdosta All-Comers Track Meet #5. 6:30 PM ET 1600 meter / 6:50 PM 200m / 6:53 PM 800m / 7:02 PM 50m (youth 10 and under) / 7:05 PM 100m / 7:10 PM 400m / 7:20 PM 3200m / 8:00 PM 4x400m relay. Valwood School, 4380 Old US Hwy 41 North, Hahira, Georgia 31632. A Course/Line, LLC, 229-630-1455. Darton State College Trail Series 1.625-Mile Race #7. 7:00 PM ET. Darton College Tennis Pavilion, Albany, Georgia. Entry form and flyer. Bruce Skiles, bruce.skiles@darton.edu or 229-317-6558. Gulf Winds Track Club / Tallahassee Parks and Recreation Summer Track Series Meet #5 (40m, 100m, 400m, one mile, 5000m). 6:45 PM ET. Maclay School track, 3737 North Meridian Road, Tallahassee, Florida. Tom Perkins, 850-894-2019. Gulf Winds Track Club Summer Trail Series Run #2, 4.5 Mile and one-mile kids' run. 8:00 AM ET. Swamp Forest Trail, Phipps Park, Tallahassee, Florida. Series entry form and flyer. Event page on Facebook. Bobby York, byorkjr@msn.com or 850-443‐6795. Dr. James H. Crowdis 5K. 8:15 AM ET. First United Methodist Church, 397 College Street, Blakely, Georgia. 2012 story. Event web site. Online registration at RaceItcom. Tony Gilbert, crowdisrun@windstream.net or 229-724-7660. Line Up For Loretta 5K. 8:00 AM ET. Baconton Ball Fields, Lester Road and US 19, Baconton, Georgia. Online registration at active.com. Valdosta All-Comers Track Meet #6. 6:30 PM ET 1600 meter / 6:50 PM 200m / 6:53 PM 800m / 7:02 PM 50m (youth 10 and under) / 7:05 PM 100m / 7:10 PM 400m / 7:20 PM 3200m / 8:00 PM 4x400m relay. Valwood School, 4380 Old US Hwy 41 North, Hahira, Georgia 31632. A Course/Line, LLC, 229-630-1455. Darton State College Trail Series 1.625-Mile Race #8. 7:00 PM ET. Darton College Tennis Pavilion, Albany, Georgia. Entry form and flyer. Bruce Skiles, bruce.skiles@darton.edu or 229-317-6558. Gulf Winds Track Club / Tallahassee Parks and Recreation Summer Track Series Meet #6 (40m, 100m, 200m, 800m, two mile). 6:45 PM ET. Maclay School track, 3737 North Meridian Road, Tallahassee, Florida. Tom Perkins, 850-894-2019. 4th annual Break Bread Bun Run 5K. 7:30am ET. Valdosta YMCA, 2424 Gornto Road, Valdosta, Georgia 31602. 2012 story. 2011 story. 2010 story. 4th annual Mike The Dog 5M and 5K. 8:30 AM ET. Wakulla State Forest, SR 267 entrance. 2012 story. 2011 story. Entry form and flyer. Dana Stetson, danastetson@yahoo.com or 850-668-3839. Valdosta All-Comers Track Meet #7. 6:30 PM ET 1600 meter / 6:50 PM 200m / 6:53 PM 800m / 7:02 PM 50m (youth 10 and under) / 7:05 PM 100m / 7:10 PM 400m / 7:20 PM 3200m / 8:00 PM 4x400m relay. Valwood School, 4380 Old US Hwy 41 North, Hahira, Georgia 31632. A Course/Line, LLC, 229-630-1455. Darton State College Trail Series 1.625-Mile Race #9. 7:00 PM ET. Darton College Tennis Pavilion, Albany, Georgia. Entry form and flyer. Bruce Skiles, bruce.skiles@darton.edu or 229-317-6558. Gulf Winds Track Club / Tallahassee Parks and Recreation Summer Track Series Meet #7 (40m, 100m, 400m, one mile, 5000m). 6:45 PM ET. Maclay School track, 3737 North Meridian Road, Tallahassee, Florida. Tom Perkins, 850-894-2019. Gulf Winds Track Club Summer Trail Series Run #3, 3.5 Mile and one-mile kids' run. 8:00 AM ET. Magnolia Trail, Tom Brown Park, Easterwood Drive, Tallahassee, Florida. Series entry form and flyer. Event page on Facebook. Bobby York, byorkjr@msn.com or 850-443‐6795. Tasty Tiger Trot 5K Trail Run. 8:00 AM CT. Westgate Park Trail, 501 Recreation Rd, Dothan, Alabama 36303. Event page on Facebook. Entry form and flyer. Mike or Carolyn Houston, 334-797-3668 or 334-797-5641. 2nd annual Cumulative 5K (3200m + 200m + 1600m). 7:30 AM ET. Valwood School, 4380 Old US Hwy 41 North, Hahira, Georgia 31632. A Course/Line, LLC, 229-630-1455. 2nd annual Hog Jog 5K. 7:30 AM ET. Episcopal Church, 1391 11th Street SW, Live Oak, Florida. Event web page. Online registration at active.com. Valdosta All-Comers Track Meet #8. 6:30 PM ET 1600 meter / 6:50 PM 200m / 6:53 PM 800m / 7:02 PM 50m (youth 10 and under) / 7:05 PM 100m / 7:10 PM 400m / 7:20 PM 3200m / 8:00 PM 4x400m relay. Valwood School, 4380 Old US Hwy 41 North, Hahira, Georgia 31632. A Course/Line, LLC, 229-630-1455. Darton State College Trail Series 1.625-Mile Race #10. 7:00 PM ET. Darton College Tennis Pavilion, Albany, Georgia. Entry form and flyer. Bruce Skiles, bruce.skiles@darton.edu or 229-317-6558. Gulf Winds Track Club / Tallahassee Parks and Recreation Summer Track Series Meet #8 (Events TBD). 6:45 PM ET. Maclay School track, 3737 North Meridian Road, Tallahassee, Florida. Tom Perkins, 850-894-2019. Gulf Winds Track Club Summer Trail Series Run #4, 4.5 Mile and one-mile kids' run. 6:00 PM ET. Red Bug Trail, Phipps Park, Tallahassee, Florida. Series entry form and flyer. Event page on Facebook. Bobby York, byorkjr@msn.com or 850-443‐6795. 3rd annual Walter Phelps Memorial 5K Trail Run. 8:00 AM ET. Lee County YMCA, 316 Robert B Lee Road, Leesburg, Georgia 31763. 2011 story. Online registration at active.com. Valdosta All-Comers Track Meet #9. 6:30 PM ET 1600 meter / 6:50 PM 200m / 6:53 PM 800m / 7:02 PM 50m (youth 10 and under) / 7:05 PM 100m / 7:10 PM 400m / 7:20 PM 3200m / 8:00 PM 4x400m relay. Valwood School, 4380 Old US Hwy 41 North, Hahira, Georgia 31632. A Course/Line, LLC, 229-630-1455. Darton State College Trail Series 1.625-Mile Race #11. 7:00 PM ET. Darton College Tennis Pavilion, Albany, Georgia. Entry form and flyer. Bruce Skiles, bruce.skiles@darton.edu or 229-317-6558. 24th annual Run For Love 5K and one-mile fun run. 7:15 PM ET. Red Hill Athletic Center, Abraham Baldwin Agricultural College, Stallion Road, Tifton, Georgia. 2010 story. Online registration at active.com. 15th annual Summer Sizzler 5K and one-mile fun run. 5:30 PM ET one mile / 6:00 PM ET 5K. Lighthouse Park, 2 East Gulf Beach Drive, St. George Island, Florida. 2011 story. 2010 story. 2009 story. USATF certifed course #FL99035DL. Event web site. Entry form and flyer. Online registration at active.com. Hobson Fulmer, hobson@fairpoint.net or 850-927-2510. Georgia Veterans Sprint Triathlon (400 yard swim / 13.6 mile bike / 5K run). 8:00 AM ET. Georgia Veterans State Park, 2459 U.S. Highway 280 W, Cordele , Georgia 31015. 2011 story. Event web site. Online registration at active.com. Entry form and flyer. Jim Rainey, Georgia Multisports Productions, jim@gamultisports.com or 770-926-2367. Valdosta All-Comers Track Meet #10. 6:30 PM ET 1600 meter / 6:50 PM 200m / 6:53 PM 800m / 7:02 PM 50m (youth 10 and under) / 7:05 PM 100m / 7:10 PM 400m / 7:20 PM 3200m / 8:00 PM 4x400m relay. Valwood School, 4380 Old US Hwy 41 North, Hahira, Georgia 31632. A Course/Line, LLC, 229-630-1455. Hot Summer Nights 5K Trail Run #11. 6:00 pm CT. Westgate Park, 801 Recreation Road, Dothan, AL 36303. Larry Dykes, drcprez@yahoo.com or 334-792-6021. Gulf Winds Track Club's 16th annual Breakfast On The Track One Mile Run. 7:45 am ET. Maclay School track, 3737 N Meridian Rd, Tallahassee, Florida. Event page on Facebook. 2012 story. 2011 story. 2010 story. 2009 story. Bonnie Wright, bonniedwright@gmail.com or 850-386-3500. Life Is A Beach 5K Trail Run. 8:00 AM CT. Westgate Park, 801 Recreation Road, Dothan, AL 36303. 2012 story. 2011 story. 2010 story. Event web page. Entry form. Larry Dykes, drcprez@yahoo.com or 334-792-6021. 2nd annual Run To Remember 10K, 5K, and one-mile fun run. 7:30 AM ET. Moultrie/Colquitt County Parks and Recreation Department, 11th Ave SW, Moultrie, Georgia. Online registration at active.com. sha.missions@gmail.com or 229-528-4967. Gulf Winds Track Club's Miller Landing Madness 8K/5K/3K. 8:00 am ET. Elinor Klapp Phipps Park, Miller Landing Road, Tallahassee, FL 32312. 2012 story. 2011 story. 2010 story. 2009 story. Event page on Facebook. Entry form and flyer. Online registration at RaceIt.com. Tom Perkins, 850-894-2019 or Bill Lott, 850-656-1273. 4th annual Leesburg Long Run For Children 10.5K, 5K, and one-mile fun run. 7:00 AM ET 5K / 8:00 AM ET 10.5K / 8:10 AM ET one mile. Lee County Chamber of Commerce, 100 Starksville Avenue North, Leesburg, Georgia 31763. Event web site. Entry form and flyer. pamndonv@bellsouth.net or 229-759-1970. Midnight Chase 5K and one-mile fun run. 11:59 PM CT. 7100 W Highway 98, Panama City Beach, Florida. Online registration at active.com. Tallahassee Youth Triathlon Series #3. 8:00 AM ET. Morcom Aquatic Center, Potsdamer Road, Tallahassee, Florida. Event web site. Event page on Facebook. Mike Weyant, weyantm@comcast.net or 850-241-6591. 5th annual Valdosta Labor Day 5K and 1500m fun run. 8:00am ET. 3200 North Ashley Street, Valdosta, Georgia 31602. 2011 story. 2010 story. Online registration at runsignup.com. 4th annual Operation One Voice Florida Fallen Heroes 5K and one-mile fun run. 8:00 AM ET. Maclay Gardens State Park, 3540 Thomasville Road, Tallahassee, Florida 32309. 2011 story. 2010 story. 2009 story. Online registration at active.com. 7th annual Ability 1st 5K and one-mile fun walk. 8:30 AM ET 5K / 9:00 AM ET one mile. Myers Park, 913 Myers Park Drive, Tallahassee, Florida. 2011 story. Event web page. Entry form and flyer. 850-575-9621. 28th annual Critter Run 5K. 6:00 PM CT. Westgate Park, 801 Recreation Road, Dothan, Alabama 36303. USATF certified course #AL86003JD. 2012 story. 2011 story. 2010 story. Event web page. Event entry form. Larry Dykes, 334-792-6021. 2nd annual Run For Remembrance 10K and 5K. 8:05 AM CT. North end of Frank Brown Park, 16200 Panama City Beach Pkwy, Panama City Beach, Florida. Online registration at active.com. Gulf Winds Track Club's 32nd annual Tallahassee Women's Distance Festival 5K and one-mile fun run. 8:00 AM ET 5K women / 8:05 AM ET 5K men / 9:00 AM ET one mile. Optimist Park, East Indianhead Drive, Tallahassee, Florida. 2012 story. 2011 story. 2010 story. 2009 story. USATF certified course #FL00022DL. Entry form and flyer. Lisa Unger, unger4122@comcast.net or 850-544-4893. 32nd annual Sickle Cell Foundation of the Big Bend 5K and one-mile fun run. 8:10 AM ET one mile / 8:30am ET 5K. Jake Gaither Park, 801 Tanner Drive, Tallahassee, FL 32305. 2011 story. 2010 story. USATF certified course #FL12057EBM. Event web site. jill@sicklecellfoundation.org or 850-222-2355. 5K at Fifth. 8:00 AM ET. Paisley Cafe, 1123 Thomasville Road, Tallahassee, Florida. Shannon Moore, lee_shannon@rocketmail.com or 850-694-3322. 4th annual Honor Your Neighbor 5K and one-mile fun run. 7:00 AM ET. McKey Park, Burton Street, Valdosta, Georgia 31602. 2010 story. Event page on Facebook. Entry form and flyer. Princess Macy 5K. 8:00 AM CT 5K. Westgate Park Tennis Center, 801 Recreation Road, Dothan, Alabama 36303. Stars and Stripes Patriot Run 6K. 9:00 AM ET. Myrtlewood Plantation, Campbell Street, Thomasville, Georgia. Entry form and flyer. Online registration at RunSignUp.com. A Course/Line, LLC, acourseline@earthlink.net or 229-630-1455. 2nd Annual Sam Strong Run 2 End Duchenne 5K and one-mile walk. 8:00 AM ET. Newberry Elementary School, 25705 SW 15th Avenue, Newberry, Florida. Event page on Facebook. Online registration at active.com. Beach Blast Triathlon and Duathlon II. 7:00 am CT (Sprint triathlon, 0.35 mile Swim, 15 mile Bike, 3.1 mile Run; Olympic triathlon, 0.7 mile Swim, 25 mile Bike, 6.2 mile Run; Sprint duathlon, 1.2 mile Run, 15 mile Bike, 3.1 mile Run; Olympic duathlon, 3.1 mile Run, 15 mile Bike, 6.2 mile Run). Mexico Beach, Florida. Event web site. Online registration at active.com. Gulf Winds Track Club's Salute to Prefontaine 5K Cross-Country Run. 8:30am ET. Silver Lake Recreation Area of the Apalachicola National Forest, Silver Lake Road, Tallahassee, Florida. 2012 story. 2011 story. 2010 story. Jeff Nielsen, dobieman@comcast.net or 850-459-8859. Race of the South 10K / 5K / one-mile fun run. 7:30 AM ET 10K and 5K, 9:00 AM ET one mile. Moultrie YMCA, 601 26th Avenue Southeast, Moultrie, Georgia 31768. 2012 story. 2010 story. Event web page. Leslie Peretti, leslieymca@hotmail.com or 229-985-1154. 5th annual Quail Trail 5K. 8:00 AM ET. Historic Pebble Hill Plantation, 1251 US Highway 319 South, Thomasville, Georgia. 2010 story. 2009 story. USATF certified course GA09026WC. Event web page. Whitney White, wwhite@pebblehill.com or 229-227-5389. 3rd annual Get-A-Mammy 5K. 8:00 AM ET. McKey Park, 112 Burton Street, Valdosta, Georgia 31602. 2012 story. 2011 story. Building Strong Families 10K and 5K. 8:00 AM CT. Citizen's Lodge Park, 4577 Lodge Drive, Marianna, Florida. Online registration at active.com. Tammy Dean, 850-209-0397, or Kathy Donofro, 850-557-3660. Run For The Renascence 10K, 5K, and one-mile fun run. 8:00 AM CT. Frank Brown Park, 16200 Panama City Beach Pkwy, Panama City Beach, Florida. Online registration at active.com. Hispanic Heritage Gate-To-Gate 4.2-Mile Run. 9:00 AM CT. 3rd Avenue and Raider Street parking lot, Fort Rucker, Alabama. Fortenberry-Colton PFF at 255-3794. Champions for Children 5K. 8:30 AM ET. Swine Time Fairgrounds, New Street, Climax, Georgia. Entry form and flyer. Amy Eakin amy.theoakhouse@ymail.com or 229-309-1882. 6th annual Red Cross Robin Lotane Memorial Hurricane Run 5K and one-mile fun run. 7:45 AM ET one mile / 8:15 AM ET 5K. Tallahassee Red Cross, 1115 Easterwood Drive, Tallahassee, Florida 32311. 2012 story. 2011 story. 2010 story. 2009 story. Event web page. Event page on Facebook. Online registration at active.com. Bob Lotane, robertlotane1@gmail.com or 850-545-9446, or Capital Area Chapter of the American Red Cross, 850-878-6080. Riverfront Run 5K. 8:30am ET. Broad Avenue next to Hilton Garden Inn, 101 S Front Street, Albany, Georgia 31701. Event page on Facebook. Event web site. Online registration at active.com. 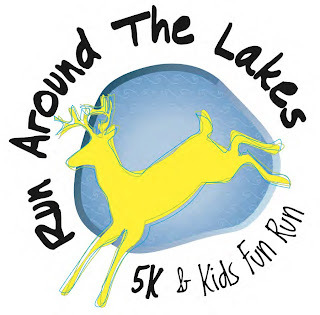 info@riverfrontrun.com or (229) 436-8191. 4th annual Riverwalk Run 5K. 5:00 PM CT. Riverwalk Pavilion, Downtown Milton, Florida. USATF certified course FL09073EBM. Event page on Facebook. Event web site. Online registration at RunSignUp.com. linsey.williamson@ci.milton.fl.us or 850-983-5466. Girls Inc. Run For The Treasure Half Marathon, 10K, 5K, and 1K fun run. 7:00 AM CT half marathon / 7:15 AM CT 10K / 7:30 AM CT 5K / 8:00 AM CT 1K. Aaron Bessant Park, Panama City Beach, Florida. Online registration at active.com. 15th annual Alan C. Sundberg, Jr. Memorial 5K. 8:00 am ET. Maclay Gardens State Park, 3540 Thomasville Road, Tallahassee, Florida 32309-3413. 2012 story. 2011 story. 2010 story. 2009 story. Event web site. Bill Sundberg, bill@sundbergandhessman.com or 850-402-3000. Cast Iron 5K. 8:00 AM ET. Citizens National Bank Parking Lot, 100 East Stephens Street, Quitman, Georgia 31643. 2011 story. Peanut Run 5K. 7:30 AM ET. Jeffords Park (US 82 at the Train), 301 East Franklin Street, Sylvester, Georgia 31791. Sylvester – Worth County Chamber of Commerce, 229-776-6657. 4th annual “Running for the bay!” Marathon, Half Marathon, 10K, 5K and 50K ultramarathon. 7:15 AM ET. Battery Park, Apalachicola, Florida. USATF certified course FL10040EBM (marathon). Race web site. Online registration at active.com. 34th annual Boston Mini-Marathon. 8:00 am ET. Commercial Bank, 124 West Jefferson Street, Boston, GA 31626. 2012 story. 2011 story. 2010 story. 2009 story. Event page on Facebook. Brad Johnson, bradjohnson@bankcb.com or 229-498-8500 (day) / 229-226-4679 (evening). The Great Race 5K and one-mile fun run. 7:45 AM ET. Java Depot, 105 East Ellis Street, Perry, Florida. Event web page. Entry form. Online registration at RaceIt.com. Monica Blount, monica@plantationbookkeeping.com or 850-843-0259. Spooky 5K and one-mile fun run. 9:00AM CT. Fort Rucker Physical Fitness Center, Building 4605 Andrews Avenue, Fort Rucker, Alabama. 334-255-0308. 2nd annual Ghost and Goblins Spooktacular 5K trail run. 9:00 AM ET. Windy Hill Farm, 13126 NW 174th Ave Alachua, Florida 32615. Event web site. jonathan@start2finishracemanagement.com or 352-317-4363. Premier Health and Fitness Center’s P3 Challenge 5K and and one mile. 9:00 AM ET one mile / 9:30 AM ET 5K. Premier Health and Fitness Center, 3521 Maclay Boulevard South, Tallahassee, Florida. Tonya Smith, 850-431-4822. Premier Health and Fitness Center’s P3 Challenge Super Sprint Triathlon (150 yard swim, 7-mile bicycle, 2-mile run). 7:00 AM ET. Premier Health and Fitness Center, 3521 Maclay Boulevard South, Tallahassee, Florida. Kathy McDaris, Kmcdaris@comcast.net or 850-422-3130. 3rd annual Allen Beal Memorial Veterans' Day 5K. 8:30 AM ET. Vietnam War Memorial, South Calhoun Street at Apalachee Parkway, Tallahassee, Florida. 2012 story. 2011 story. Gulf Winds Track Club's 30th annual Bowlegs 5K Run for Scholarship. 9:00am ET. FAMU / FSU College of Engineering, 2525 Pottsdamer Street, Tallahassee, Florida 32310-6046. USATF certified course #FL95008DL. 2013 story. 2012 story. 2011 story. 2010 story. Larry Giunipero, lgiunip@cob.fsu.edu or 850-878-5569, or Bill Hillison, bhillis@garnet.acns.fsu.edu or 850-893-4557. 6th annual Race The Tortoise 5K. 8:00 AM ET. O'Leno State Park, 410 S.E. O'Leno Park Road, High Springs, Florida 32643. USATF certified course FL09011EBM. Event web page. Entry form and flyer. Online registration at active.com. Cindy Preston, Cynthia.F.Preston@dep.state.ﬂ.us or 386-454-0723. 27th annual Gnat Days 5K. 7:00 PM ET. Courthouse Square, Camilla, Georgia. 2012 story. 2011 story. Jennifer Burnum, jennifer@camillageorgia.com or 229-336-5255. The United States may not embrace trail running, but trail running is certainly important in the history of the nation. Consider the episode of the Walking Purchase. During the 1730s, John and Thomas Penn produced a document dated 1686 stating that the Delaware Indians had promised to sell their lands to the colony of Pennsylvania to a limit as far as a man could walk in a day and a half. The Penns then proceeded to hire three professional distance runners, clear a trail, and set up aid stations. The "walk" began on 19 September 1737. After a day and a half of running the swiftest of the athletes, Edward Marshall, had covered 70 miles and the Delaware had lost 1.2 million acres of their land. Perhaps the Native Americans should have hired some race-walk judges. Search history, but you won't find that kind of outcome riding on a baseball game. Tallahassee's Gulf Winds Track Club decided to celebrate the American tradition of trail running with a Summer Trail Series of four races, organized by Bobby York. On Saturday morning, 22 June 2013, athletes gathered in Tom Brown Park for the first race of the series, five to six miles of racing on the Cadillac Trail. The event wasn't without problems. After marking the course the previous day, a summer shower washed away the chalk arrows. York and his team went back to the trail in the dark and re-marked the course, this time with pin flags. Then on the morning of the race, York had to delay the start of the trail run--three participants in the children's mile had run off course and had to be found before the main event could begin. Finally, at 8:30, all of York's work and planning came to fruition as 121 competitors set off to run the Cadillac Trail. Kevin Sullivan of Capital City Runners went right to the front, which is what you would expect from a four-time Big Ten Conference cross-country champion and seven-time member of the Canadian national cross-country team. True to expectations, Sullivan stayed out front for the entire tour of the Cadillac trail, finishing with a winning 37:38 for the run. Sullivan was followed across the finish line by runner-up Charn McAllister at 39:26, then Bryce Van Dam at 39:57 and Eric Godin at 40:15. In fifth place at 43:04, Tony Guillen of Tallahassee was the first master finisher. Triathlete Stephanie Liles-Weyant was the first woman as well as the first woman master. Liles-Weyant placed ninth overall in 45:07, finishing more than two minutes ahead of the female runner-up, Brook Pace. Pace was 14th overall in 47:12. The Gulf Winds Track Club's Summer Trail Series continues with a 4.5-mile run over the Swamp Forest Trail in Phipps Park at 8:00 AM on July 13, a 3.5-mile run over the Magnolia Trail in Tom Brown Park at 8:00 AM on July 27, and concludes with a 4.5-mile run over the Redbug Trail in Phipps Park at 6:00 PM on August 3. Find upcoming races on trail, road, and track at Trouble Afoot! Killearn Lakes is a Tallahassee bedroom community located in north Leon county near the historic village of Bradfordville. I've run a couple of Gulf Winds Track Club races there, the Tallahassee Women's Distance Festival and the Ten Mile challenge. I didn't see any lakes during either run, although I did see quite a few hills. A more honest name for the sub-division might have been "Killearn Hills," or "Killearn Crags," or even "Piedmont Killearn." I suppose that in real estate circles none of those have the cachet of "Killearn Lakes." 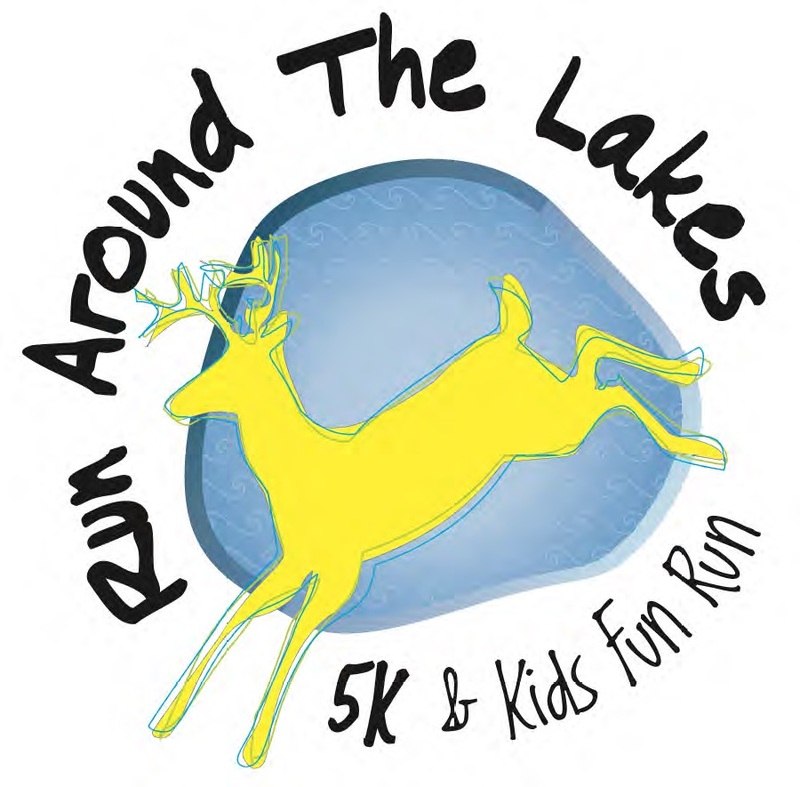 The 113 athletes who ran Deer Lake United Methodist Church's Run Around The Lakes 5K didn't see any lakes either. Admittedly, the event was the run around the lakes and not by the lakes or through the lakes or in view of the lakes. Wherever the water was, everyone got a 3.1-mile sample of the hills of Killearn Lakes on an out-and-back course from Deer Lake UMC along Deer Lake Road. Tallahassee's Joseph Garcia handled the slopes the best. The recent Lincoln High graduate clocked a 17:32 win on the course, finishing comfortably ahead of runner-up Gary Droze. Droze, the track coach at Maclay School, was the first master runner in the race, running 17:56. Renee Cox of Tallahassee won the women's title at the Run Around The Lakes, placing seventh overall in 20:31. Over a minute behind Cox, Vicky Droze was the women's runner-up, finishing eighth overall in 21:32. Debbie Peters was the first woman master across the finish line, at 26:42 the eight woman and 29th overall finisher. Proceeds from the inaugural event were earmarked for the local and overseas missions of Deer Lake UMC.